Certainly you remember an injured Killian Tillie on the sideline. Perhaps you’ve forgotten about 6-foot-6 Corey Kispert seeing a few minutes at center with Gonzaga’s frontcourt depth depleted. 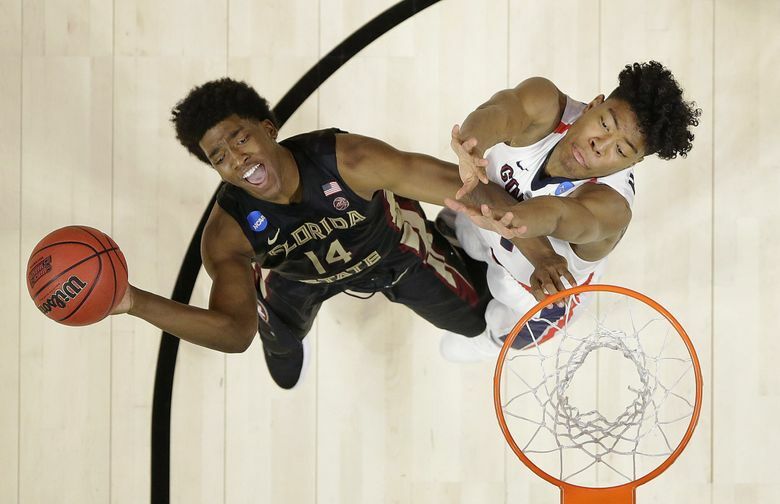 No doubt you can recall it was defensive-minded Florida State that ended Gonzaga’s season with a 75-60 victory in the Sweet 16 last year at Staples Center. 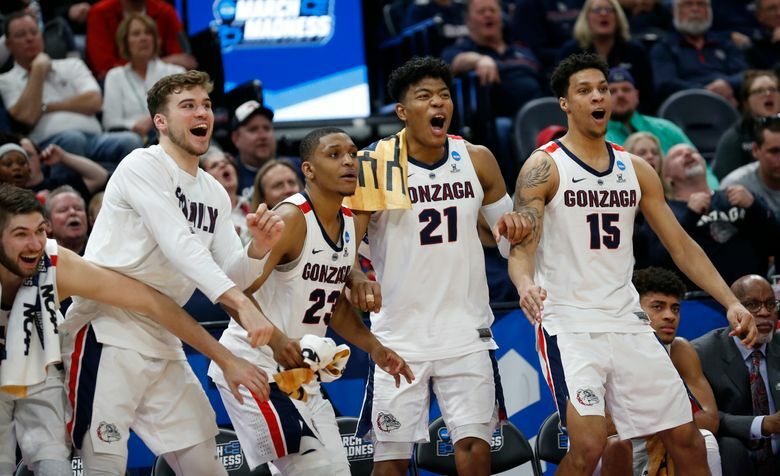 If Zags’ followers had flashbacks when the West Regional bracket was announced on Selection Sunday, they’ve probably intensified after the first weekend of the 2019 NCAA Tournament. The Zags (32-3) and Seminoles (29-7) face off again in the Sweet 16 Thursday at the Honda Center in Anaheim, California, roughly 30 miles southeast of Staples Center. Top-seeded Gonzaga is favored and the higher seed for the second year in a row, but both teams are better than their 2018 versions. Second-seeded Michigan, which defeated Florida State in last year’s Elite Eight, tangles with No. 3 Texas Tech in Thursday’s nightcap. Michigan, by the way, defeated Montana in the opening round for the second straight year. “It’s really special, same region of the country, same game, really, really cool,” Kispert said of the rematch. “They kind of had a special place right here ever since we lost to them last year. We can’t wait to give them our best shot. The Zags weren’t as deep last year as this year’s team. Tillie’s absence moved Rui Hachimura into the starting lineup for the just the second time. Hachimura responded with 16 points and nine boards, equaling his second-highest rebounding total of the season. Tillie collided with a teammate and injured his hip in practice two days before the game. The versatile, 6-foot-10 forward attempted to go through pre-game drills, but about five minutes in he elevated for a dunk and felt sharp pain in his hip. Tillie returned to the locker room for further evaluation and told coach Mark Few he wouldn’t be able to play. Tillie’s injury lingered for several weeks into the offseason and was one of the reasons he opted to return for his junior year instead of testing the NBA Draft waters. Sophomore Zach Norvell Jr. knows the feeling. “Anytime a team knocks you out last year and you get a chance to play them again it’s really exciting,” Norvell said following Gonzaga’s 83-71 win over Baylor on Saturday. Norvell was outstanding in 2018 NCAA Tournament wins against UNC Greensboro and Ohio State. He nailed a clutch 3-pointer late to help sink UNC Greensboro and followed that up with six 3s, 28 points and 12 rebounds against the Buckeyes. Norvell, like most of his teammates, couldn’t get it going against the Seminoles, who used their size, length and athleticism to limit the Zags to a season-low 60 points on 33.9-percent shooting. Norvell made three three-pointers and scored 14 points but hit just 4 of 16 field-goal attempts. Johnathan Williams and Hachimura logged 34 and 36 minutes, respectively, while one Seminole, wing Terance Mann with 33, played more than 26 minutes. Hachimura has only been held below double digits just twice this season. He had a season-low six points and five rebounds against Baylor and was limited to nine points and five boards by Saint Mary’s in the WCC tournament title game. In between, Hachimura, who averages 19.7 points and 6.6 rebounds, posted 21 points and eight rebounds against Fairleigh Dickinson. Few was in celebration mode for obvious reasons following the Baylor victory when he was asked about the rematch with Florida State. He said Tillie’s injury was a “crushing blow to us emotionally. “I don’t know if we could have beaten them with Killian, but I know it would have really, really helped,” Few said. “We will prepare like crazy. I thought they were really, really under-seeded (this year). They had Duke beat at their place and played great all year. I thought they’d end up on the two (seed) line and to see them at four, that’s kind of tough.